Alfa-Max / 100 Caps - Nature's Way®. 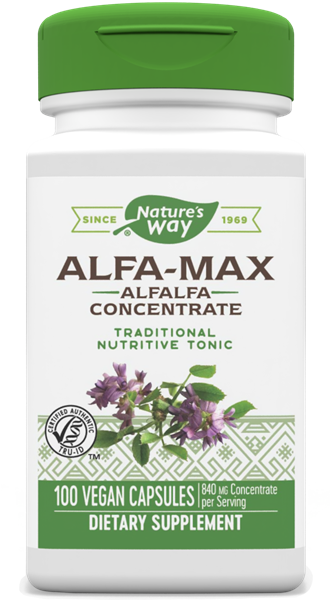 Alfa-Max® is Alfalfa Concentrate blended with Alfalfa leaves. Take 2 capsules three times daily, preferably with meals. If pregnant, nursing or taking any medications, consult a healthcare professional before use.